"Polifonica-Monodia-Ritmica" for 6 instruments and percussion, composed in 1951. 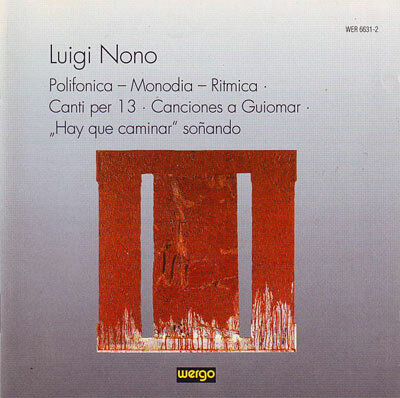 "Canti Per 13" for 13 instruments, composed in 1955. "Canciones A Guiomar" for soprano solo, 12-voices female chorus and instruments, composed in 1962-63. "'Hay Que Caminar' Soñando" for 2 violins, composed in 1989 (his last composition).